There is something about a Dolphin cleaner that lets you know it's different from other robotic cleaners. 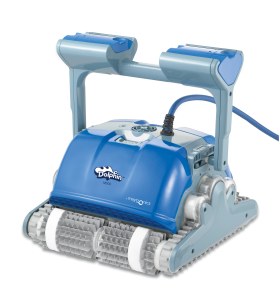 The Dolphin Supreme family of robotic cleaners was designed with the pool owner in mind - powerful performance coupled with Dolphin exclusive features that you won't find in any other cleaner! Real solutions for real pool challenges. 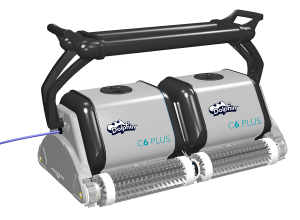 Dolphin's commercial line of robotic cleaners feature heavy-duty cleaning performance, with robust reliability for long-term, cost-effective operation. Dolphin is the proven, professional solution for any commercial pool - from small public pools to even the largest commercial aquatics environments.